In all, there were 20 investments totaling $975,799,660, including 11 early-stage deals worth $88 million. “There have also been a number of high-profile Series B and C deals including Spaceflight Inc. and Relativity Space,” the report added. “However, we are seeing strong growth in early stage deals—investment in seed stage companies is up 19% [year over year]. “Over 55% of deals this quarter are early-stage deals (Seed/Series A). Series B and C deals account for 30% of deals this quarter, up 10% from a year ago,” the report stated. Spaceflight’s $150 million deal involved Thales Alenia Space and Telespazio taking a minority stake in the Seattle-based company. Mitsui & Co., Ltd., one of the largest general trading companies in Japan, also invested in the round. The funding will allow Spaceflight’s BlackSky subsidiary to orbit a constellation of 24 high-resolution Global imaging satellites. The company will eventually expand the constellation to 60 spacecraft using revenues from the first 24 satellites. Global Eagle Entertainment, a leading provider of in-flight connectivity to airlines, also received an $150 million liquidity round investment from Searchlight Capital. Relativity Space’s $35 million Series B round will enable the company to grow its efforts to manufacture launch vehicles using additive manufacturing (aka, 3D printing). The funding round was led by Playground Global with the participation of Series A investors Social Capital, Y Combinator Continuity and Mark Cuban. The company says it has raised more than $45 million in venture funding to date. One Space Technology of China raised $26,571,429 in a round led by Qianhai Wutong Mergers and Acquisitions Funds to fund the company’s family of satellite boosters. The company is planning a flight test of its OS-X1 suborbital booster in June. A test of the OS-M1 orbital rocket is scheduled for the end of the year. The booster will be capable of launching 205 kg (452 lb) into low Earth orbit (LEO) and 143 kg (315 lb) into sun synchronous orbit (SSO) at 300 km (186 miles) each. One Space is also planning two variants of the orbital launchers named OS-X2 and OS-X4 that will use different combinations of strap-on boosters to loft larger satellites. The most powerful version of the OS-X4 will be capable of lofting 748 kg (1,649 lb) and 585 kg (1,290 lb) into LEO and SSO orbits of 300 km (186 miles), respectively. The Space Angels dubbed 2017 as the Year of Commercial Launch because of the large amount invested in the sector. The organization expects the trend to continue this year. “We expect the strength of the launch sector to continue as multiple commercial small vehicles come online, which we believe will make 2018 the Year of Small Launch,” the group said in its report. The quarterly update also spotlighted four other key funding rounds. SupremeSAT of Sri Lanka received a $30 million in seed funding in a round led by Tatwah Smartech. The satellite operator has a partnership with the China Great Wall Industry Corporation. Astranis, a maker of geosynchronous communications satellites, received $18 million from Andreesen Horowitz. 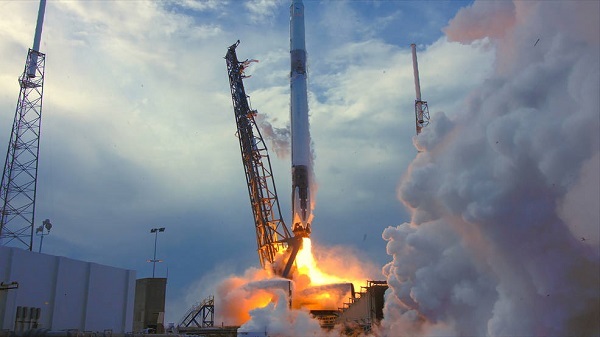 It was the venture capital firm’s first investment in the space sector. Myriota, an Australian company that is manufacturing satellites for the Internet of Things, received $15 million in a funding round led by Main Sequence Ventures. Arevo Labs, a manufacturer of 3D printed carbon fiber composite parts for aerospace and other sectors, received $13 million in Series B funding from Khosla Ventures. The report also highlighted two exits in the industry. Tencate Advanced Composites, which produces advanced materials for satellites and launch vehicles, was acquired by Toray Industries for $1.15 billion. Discount Investment Corporation also purchased AMOS Spacecom of Israel for $45.79 million.